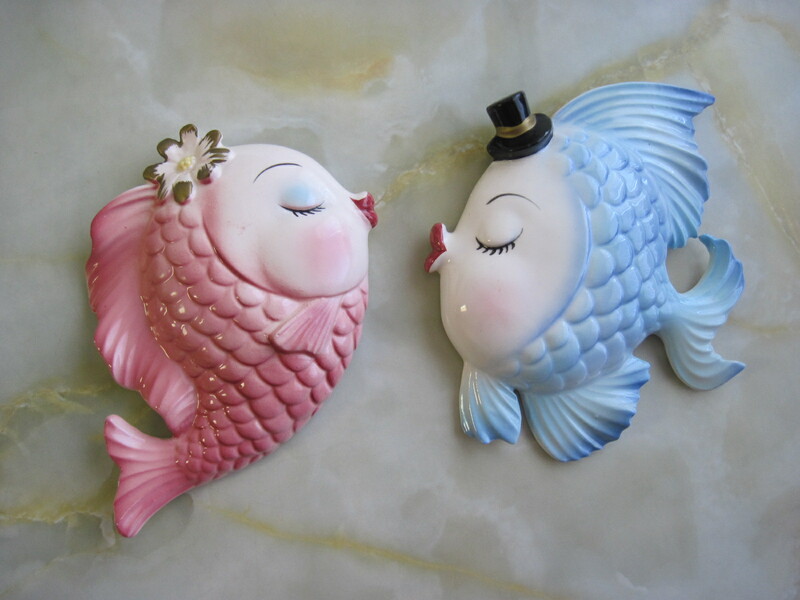 This chalkware pair of fish are straight out of the 1960’s bathroom decor. They appear to be puckering up for the big kiss. Very cute. Might have originally had some chalkware bubbles to go with them. There are no makers marks on them. They are in excellent vintage condition, with no nicks or loss of paint. The pair will be for sale for $35 at my booth at the Almonte Antique Market in Almonte ON, Canada.